Edinburgh Comedy Award WINNER 2017! It used to be the Perrier Award and he won it last year! 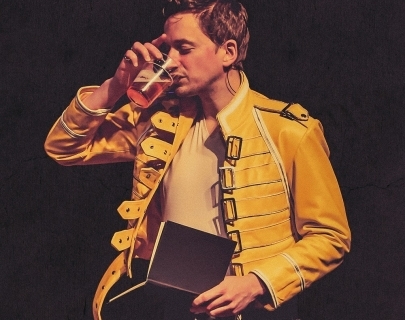 John Robins – one of the most exciting and distinctive voices in comedy – returns reflecting on love, loss and lamenting the fact he can’t break up with himself. John has firmly established himself on the comedy circuit since his debut in 2005, and with fellow comedian Elis James has enjoyed a meteoric success with The Elis James and John Robins show on Radio X, which, like* Ricky Gervais*, Stephen Merchant and Adam & Joe before them, has spawned one of the UK’s most popular podcasts. The pair recently completed an acclaimed UK tour, selling out Shepherd’s Bush Empire within minutes.